"AI Chatbot for Local Coffee Chain "
They are ready to provide quick issues solving and consultancy how the solution could be better. We request to create simple and easy to use chatbot but with many functions. It should be very creative and fun for a customer to hold them in the channel. So, we hired Chatbots.Studio team to implement our requirements that will cover cafe clients needs like see a discount, find the nearest cafe etc. They created an automated solution that covers primary clients need when they want to process their documents and send it into the banking system. * We monitor all Chatbots.Studio reviews to prevent fraudulent reviews and keep review quality high. We do not post reviews by company employees or direct competitors. Validated reviews require the user to submit a screenshot of the product containing their user ID, in order to verify a user is an actual user of the product. Hi there! 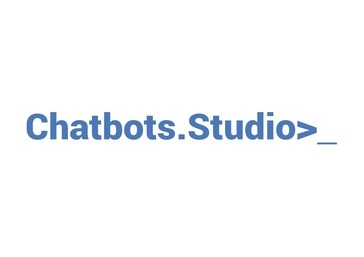 Are you looking to implement a solution like Chatbots.Studio?